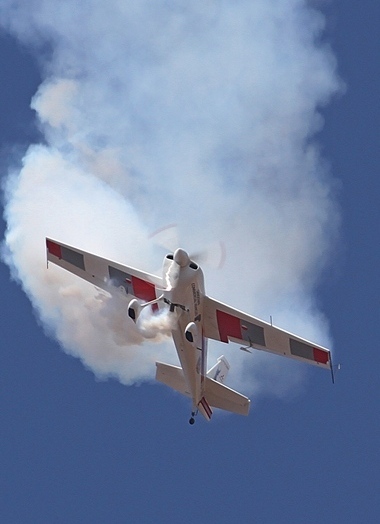 The 16th Bethlehem Airshow organised by Stephan Fourie and sponsored by Free State Development Corporation, Master Power Technologies, Dihlabeng Local Municipality, ABI, VDD, Seda, Free State Provincial Government was held in perfect weather on 15 August. The Executive Mayor of the Dihlabeng Local Municipality Tjhetane Mofokeng 's call to all residents to support the show was answered with almost 10,000 attending the day's event. 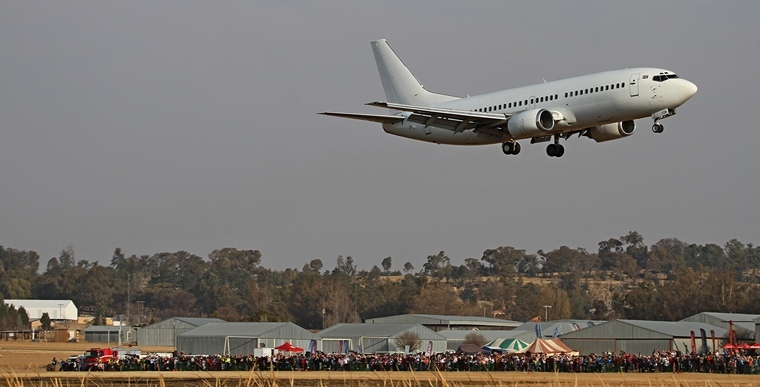 Because of the new safety regulations the show was moved to the grass runway last year with aircraft taking off and landing on the tar runway south of the crowd line. This move unfortunately resulted in spectators having to look into the sun to observe to action and makes photography challenging. We therefore decided to leave the field and found a suitable spot with the sun behind us in the parking area of the Frontier Inn and Casino where to our pleasant surprise we were not only treated to delicious Popcorn but also invited to use their facilities, proof again of the hospitality so typical to the Eastern Free State. 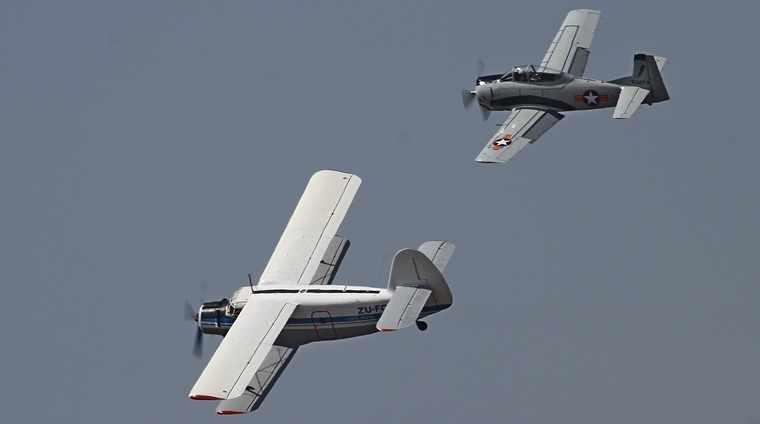 As is customary the show was opened by a team of Skydivers dropped from the AN-2, the worlds largest bi-plane. This year's show lacked the depth of participants of previous years and long gaps between displays and repeats were the order of the day. The old stalwarts were all present and after all the years they remain crowd favourites. 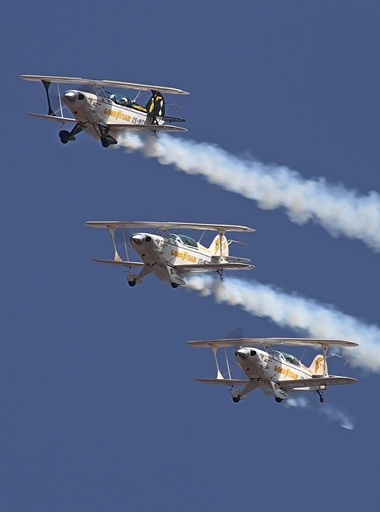 The Pitts Special this year celebrates its 70th birthday and the diminutive little bi-plane is the most enduring aerobatic aircraft in history. However, relative newcomers, the RV Team stole the show with a polished and extremely well-choreographed display. Henley displayed its Bell 222 piloted by Dr Andre Coetsee. The company had two other helicopters that offered flips. 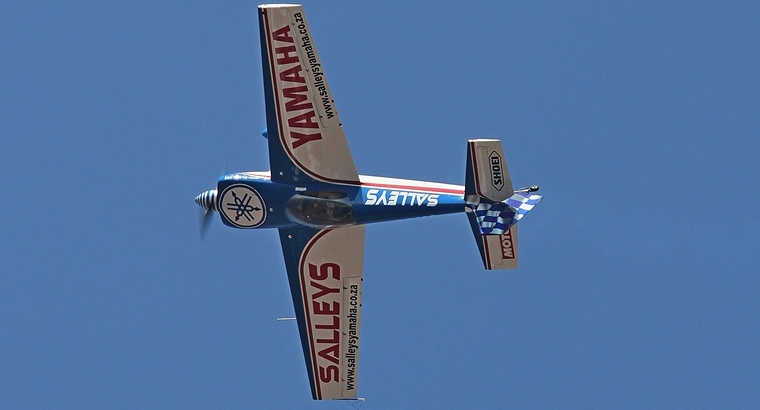 Johnnie Smith flew an amazing aerobatics display in his Extreme Air Sbach. 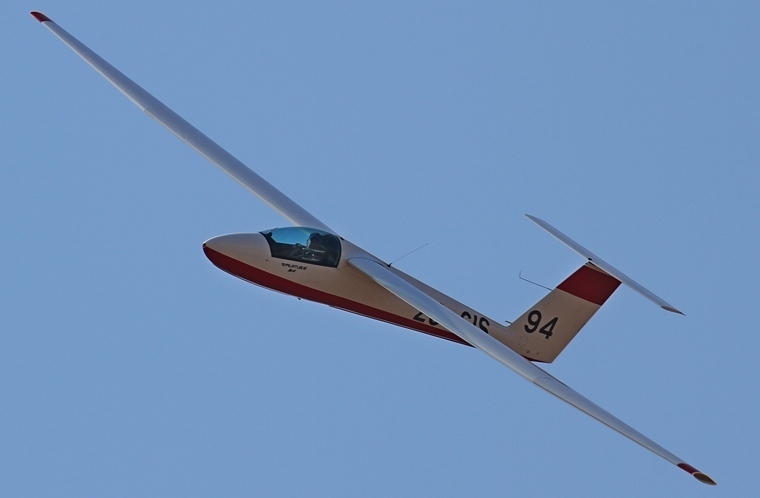 Gary Whitecross showed that gliders are not just for soaring but in the right hands are also capable of aerobatics. Trevor Warner a a regular Pylon Time Trial contestant displayed his extremely fast Vans RV 7. Chris Briers did a solo display in Menno Parsons's T-28 and then also briefly formatted with Heystek and Michelle Pretorius's AN-2. 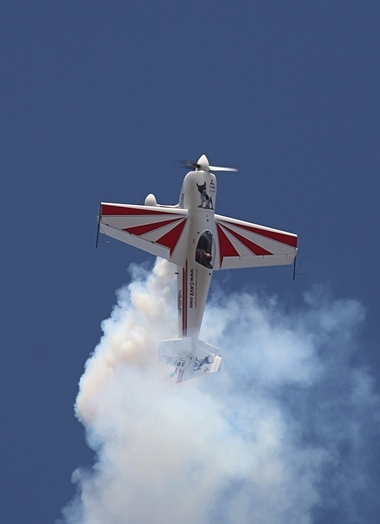 Neville Ferreira showed why he is one of South Africa's top aerobatic airshow pilots with world class display in his Slick 540. Not seen at an airshow for a long time was the Let-410. 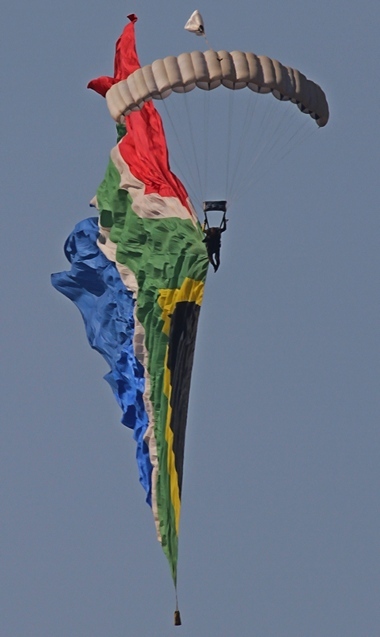 Conraad Botha was extremely impressive in his first display in the Slick 360. Advertised as the highlight of the show the display by the Star Air Boeing 737-300 that arrived briefly accompanied by two L-39s was well worth the wait and so was the finale, the display by the L-39s. The Boeing was flown by Captain Dennis Spence whilst Larry Beamish and and Pierre flew the L-39s. After the show the Bethlehem Aero Club treated the visiting pilots and other members of the aviation and airshow community to a delicious Lamb on the Spit supper in Philip Jacobs's hanger. Great fun was had by all. The club is growing from strength to strength and will host the 2016 Presidents Trophy Air Race. 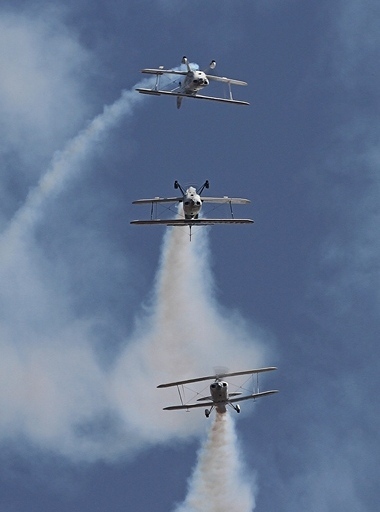 Bethlehem Airshow is one of the longest running shows on the aviation calendar and well worth a visit. Commentary and sound was again, as in the past 16 years supplied by Capital Sounds with Brian Emmenis and his team of experts. 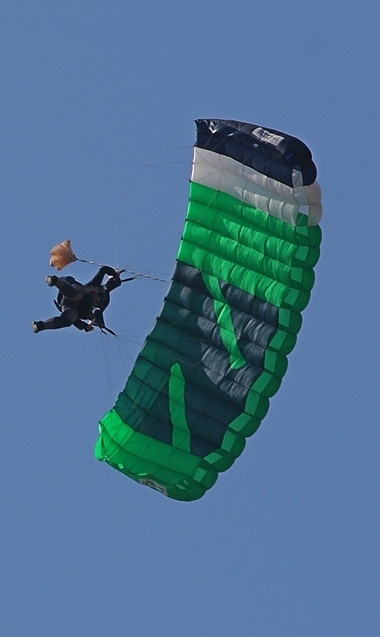 Their expert knowledge always brings something special to a airshow.